Theresa May’s ministers will hold a three-hour political Cabinet meeting on Tuesday to respond to Parliament’s failure to back any alternative Brexit plan amid growing speculation about a snap general election. On Monday night, MPs again rejected all the options put before them, raising renewed fears of a no-deal Brexit with the Prime Minister’s agreement already having been defeated three times. A plan to remain in the EU customs union fell by just three votes. Nick Boles, who put forward another proposal to stay in the customs union and single market, resigned from the Conservative Party on the floor of the House. Speaking moments after the results were announced, and close to tears, he said: “I have failed because my party refuses to compromise.” he told MPs moments after the results were announced, close to tears. Conservative ­colleagues shouted “please Nick, don’t go” as he walked out of the chamber. Ministers must now decide whether to try to bring the PM’s deal back a fourth time or ask Brussels to delay Brexit for up to a year, forcing the UK to take part in European elections in May. Nick Boles resigned from the Conservatives on the floor of the House. Downing Street had raised the stakes in the race to become the most popular soft Brexit alternative, indicating that it would seek to put the leading alternative up against Mrs May’s Brexit deal in a run-off voteon Wednesday today – but only if it believes the Prime Minister’s deal can win. But with no exit from the impasse and anger among Brexiteers growing, the Prime Minister’s top aides are reported to be pushing for her to call a snap election in the hope that a new parliament can break the deadlock. One Conservative MP who backed Mr Boles’ proposal told The Scotsman a general election had to be considered. A proposal to put any Brexit deal to the people in a referendum was the second most popular option, falling by 12 votes. Mr Boles’s “Common Market 2.0” proposal, which was defeated by 21 votes, had been boosted by Labour and the SNP, who both whipped in favour of Common Market 2.0the proposal to keep it on the table for the next stage of the process. 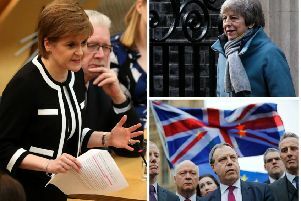 The SNP came under pressure over the weekend after abstaining on the Boles plan last week, despite the Scottish Government previously calling for the UK to stay in the ­single market and customs union as the least damaging Brexit option. Following talks with the SNP, Mr Boles said he had changed his proposals to strengthen a commitment to the free movement of people. They were also scrutinised by the Scottish Government over the weekend. However, the SNP abstained again on Ken Clarke’s proposal to stay in the customs union. Labour MP Ian Murray criticised the decision, saying: “It’s particularly frustrating that the legal minimum of a customs union failed to pass after SNP MPs abstained – despite it being their policy for some time. 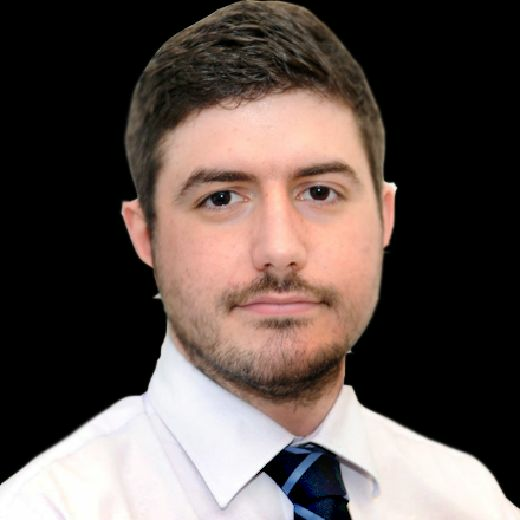 If we end up with a hard Brexit or a no-deal Brexit, ­voters will see that some have played politics rather than doing what is in the national interest. SNP MP Joanna Cherry put forward a revised version of her proposal to allow the UK to revoke Article 50 and stop Brexit altogether if a no-deal scenario looms, which fell by 101 votes after Labour again failed to back it. During debate in the Commons, she issued an “appeal to anyone who cares about the people who live in these islands and the economy of these islands to prevent a no deal from happening”. Yesterday the Prime Minister was reported to have met a delegation of Tories representing 170 MPs from her own party who put their names to a letter demanding she move towards a no-deal Brexit, rather than embracing any softer alternatives. Tory Eurosceptic Andrew Bridgen, a prominent critic of Mrs May, said the Prime Minister had “one chance to save the Conservative Party” by backing a no-deal Brexit next week. And in a warning to Downing Street of the depth of ­division that a soft Brexit could unleash among Conservatives, the former Brexit secretary and vice-chairman of the European Research Group, Steve Baker, warned he could be pushed to support a motion of no confidence in the government. “We are approaching the point where the stakes are now so very high and so transcend party politics and what this country is about ... that I think these things are coming on the table,” he said. Mr Baker also indicated he supported suspending Parliament by asking the Queen for a prorogation, effectively sending MPs away until after the current Brexit day of 12 April to stop them from legislating for any alternative. After bringing the margin of defeat on its deal down from 230 votes to 58 last week, the government risks seeing its support go into reverse, with one Tory Brexiteer declaring in the Commons that he had changed his mind again, and would now vote against. Richard Drax used a point of order to put it on record that he “made the wrong call” in Friday’s vote. He apologised to his “friends in the DUP” who continue to oppose the deal. “I do feel that I have not been true to myself,” he told colleagues. “Although doing what I thought to be in the country’s best interests at that time, I quickly realised that I should not have voted with the government on Friday.